On 26 November 2018, Assoc. Prof. Charnchai Panthongviriyakul, Dean of the Faculty of Medicine, Khon Kaen University congratulated for Mr. Charupong Saengboonme, a student from Faculty of Medicine, who was one of the recipients of the Prince Mahidol Award Youth Program Scholarship for 2018. 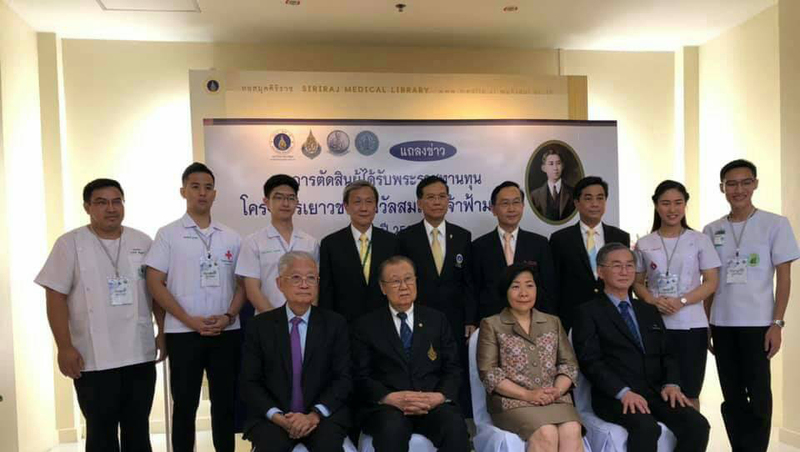 There are five medical school students from four institutions consisting of Siriraj Hospital, Chulalongkorn University, Ramathibodi Hospital and Khon Kaen University. Mr. Charupong Saengboonme will study the cyclin and cyclin dependent kinase for Cholangiocarcinoma treatment at Dana-Farber Cancer Institute, Harvard Medical School supervised by Prof. Peter Sicinski and Assoc.Prof. Sopit Wongkham.